Not every writer decides to write a book all at once. 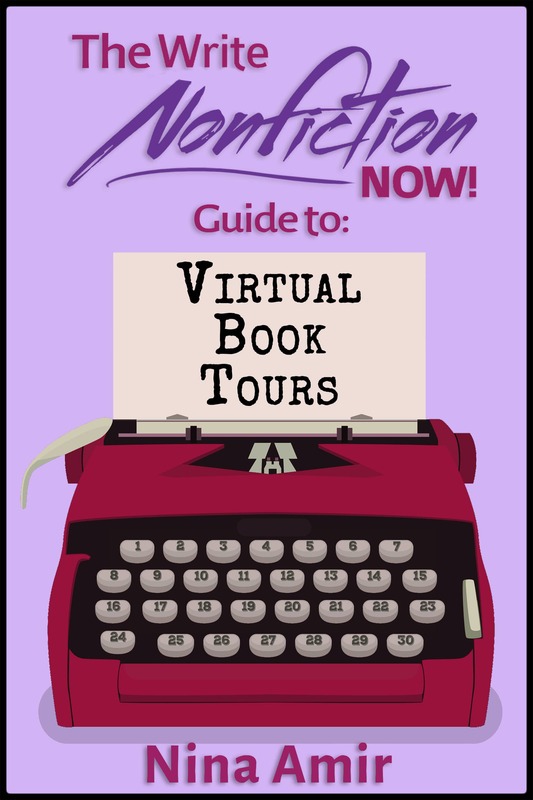 In today’s guest post, Victoria Noe explains why serializing a book, publishing it in parts, can prove a better option. When Nina asked me to share my story about going from aspiring to published author, her question really boiled down to this: how did I get here? I wish I could say that I mapped out my career in advance and everything worked according to plan. But the truth, in this case, is definitely stranger than fiction. 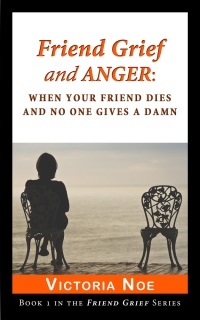 The short version is that I promised a friend, Delle Chatman, before she died that I’d write a book about people grieving their friends. I’d never written a book before and I have no idea what possessed me to make that promise to her, but I did. I blame everything on her. As I began, it was obvious I didn’t know what I was doing. And after a while I gave up. It wasn’t until almost three years later than I began in earnest to research and write. 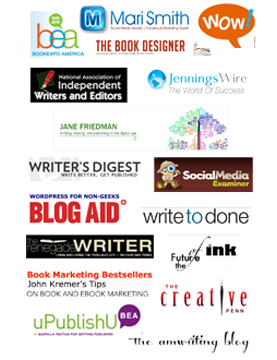 And it was another year before I attended my first Writers Digest Conference. I was scared to death to be at the conference, but I was fortunate to fall in with a group of people who have remained friends and mentors since then, including Dan Blank, George Davis, Karl Sprague and Jeanne Veillette Bowerman. That luck, which continued soon after when I met Porter Anderson, Christina Katz and Nina, is what has made the most difference to me. At the beginning I found people I trusted and admired, who became my posse, and I’m grateful. Other than Delle, whatever success I have is because of them. I’ve been asked what makes me qualified to write about grief. I tell people I’m uniquely qualified: I have a master’s degree in theatre. That’s not meant to be rude. I say it to reinforce the idea that everyone who grieves is qualified to write about it. When I started out, Google searches on grieving the death of a friend resulted in more sites about grieving a pet than a human friend. Now the top referrals are to my website or freelance articles I’ve written for blogs and Huffington Post. I pitched the book to five agents during that Pitch Slam; all wanted a proposal. A week after the conference I started my blog, Friend Grief, and an author Facebook page. I blogged for two years before the first book came out. I had to establish myself – before publication – as the go-to person on that topic. I spent 18 frustrating months building platform and expert status, during which time I contacted about four dozen agents – all carefully researched. Some of them I contacted cold; some I pitched in person and was asked to send a full proposal. It wasn’t the first time he’d said it, but it was the first time I heard him. I knew that by embracing that, I would have to self-publish. I’ve been self-employed since the mid-80s, so I already had a sense of how to run a business. And although I’d been approaching writing in what I considered a professional manner, now the bar had been raised. I decided to break up the book (which, by the way, was mostly unwritten) into six small books. 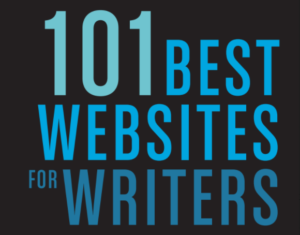 Each one is less than 15,000 words and addressed a specific concept or group of people. Some of the consequences of serializing the book were obvious: my marketing is very specialized. 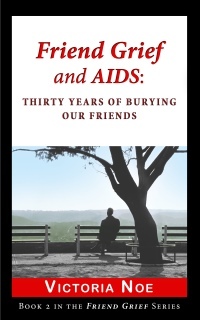 My book on AIDS would not have been reviewed on major LGBT websites if the topic had only been a chapter in a larger book; nor would the new one be sold at a veterans art museum. My marketing activities tie the books and my blog to specific events and anniversaries, such as Memorial Day and Gay Pride Month. Because the AIDS epidemic is not over, I decided to update the statistics and resources in that book every year, giving me a whole new reason to publicize it. 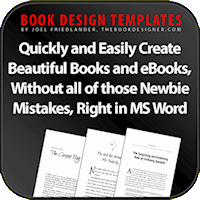 I know a lot of people do everything themselves – editing, formatting, cover design – but I don’t. I pay professionals, but it means six different cover designs, six rounds of editing, etc. I am lucky to have a really good team that I can depend on to deliver good work in a timely manner. The fun part of serializing is finding unexpected opportunities. I reviewed Dallas Buyers Club on my blog. A fellow member of ACT UP/NY, who attended the screening with me, forwarded the link to Focus Features. Their marketing people asked me to write a tie-in for Huffington Post. My book later became a reward for a Kickstarter campaign to produce a documentary on the AIDS Quilt. This year, I went to Book Expo America as an exhibitor, not an attendee. I was one of a group of self-published authors in the AuthorHub, and I also spoke on a panel at uPublishU about building your platform. My goals this year, too, were different. I’m adding to my team. I met with publicists and signed with a company to handle international/translation rights, including audio, large print and serialization. I’m not looking for an agent, at least not in the traditional sense. I’d love to have a manager, someone to take the long view of my career, rather than just pitching individual titles. I’d also like minions. My goals changed because my business is evolving. Self-publishing is not for everyone, and especially not for those who aren’t willing to embrace change. But instead of being frustrated by rapid change, I try to look at the evolution of the publishing industry as new opportunities. Some I embrace, some I don’t. That’s where my mentors come in. I’ve made some mistakes and wasted some money. But in both cases that’s been relatively minor, and hasn’t stopped me. My late father used to say that he could throw me into a tiger pit and I’d come out: bloodied, but okay. There are a lot of days when I feel like that’s a pretty good description of my writing career: definitely challenging, but okay. A “loss-leader” is something that the company gives away free or deeply discounted to get customers in the door. Once your series builds, you can give away the first book (which I’m just doing now). When I’m selling at events, I offer the first book free when you buy one of the other ones. The ebook will be free on all sites starting later this month. You can get creative with marketing. Maybe people will want to read your entire series, but pitch them as individual, stand-alone titles. Each one has a unique audience, so focus on them first. My next book, on workplace grief, will require me to market to an entirely different audience (LinkedIn, human resources professionals, business publications). The wider audience will follow. A series builds an audience over time. 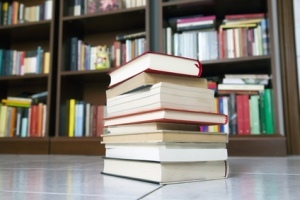 Readers are born every day (literally) and that means the potential audience grows. In the case of my books, it’s often someone who has just lost a friend for the first time. Until then they couldn’t identify with the stories in my books, but sadly, now they can. Victoria Noe has been a writer most of her life, but didn’t admit it until 2009. 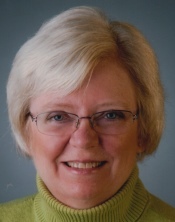 After earning a masters in Speech and Dramatic Art from the University of Iowa, she moved to Chicago, where she worked professionally as a stage manager, director and administrator in addition to being a founding board member of the League of Chicago Theatres. She then transferred her skills to being a professional fundraiser, raising money for arts, educational and AIDS service organizations, and later an award-winning sales consultant of children’s books. Noe also trained hundreds of people around the country in marketing, event planning and grant writing. But after a concussion impacted her ability to continue in sales, she switched gears to keep a promise to a dying friend to write a book. That book is now an award-winning series. 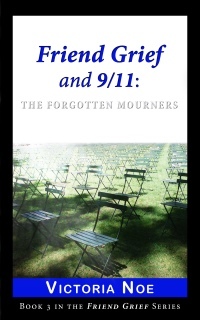 The first three – Friend Grief and Anger: When Your Friend Dies and No One Gives A Damn; Friend Grief and AIDS: Thirty Years of Burying Our Friends and Friend Grief and 9/11: The Forgotten Mourners were published in 2013. 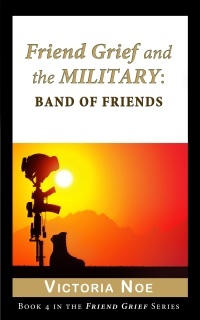 The next book in the series, Friend Grief and the Military: Band of Friends, was published in May, 2014. Noe is a member of Alliance of Independent Authors (ALLI), Chicago Writers Association, Military Writers Society of America and ACT UP/NY. Her freelance articles have appeared on numerous grief and writing blogs as well as Windy City Times, Chicago Tribune and Huffington Post. In addition, she feeds her reading habit by reviewing a wide variety of books on BroadwayWorld.com. A native St. Louisan, she’s a lifelong Cardinals fan and will gladly take on any comers in musical theatre trivia. 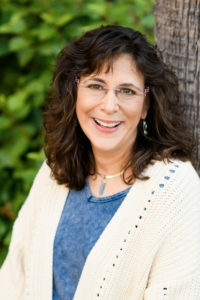 Her website, www.FriendGrief.com, was named one of the top ten grief-support websites in 2012. You can follow her on Twitter @Victoria_Noe.